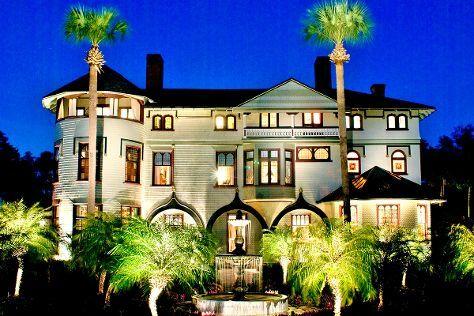 Venture out of the city with trips to Stetson Mansion (in DeLand), Titusville (Canaveral National Seashore & NASA Kennedy Space Center Visitor Complex) and Ponce de Leon Inlet Lighthouse & Museum (in Ponce Inlet). Plan for a day of cool, family-friendly fun on the 6th (Thu) at Legoland Florida Resort. Next up on the itinerary: explore and take pictures at Daytona International Speedway, take a leisurely stroll along Cocoa Beach Pier, take in the architecture and atmosphere at First United Methodist Church, and take a stroll through Old Town. For reviews, maps, ratings, and tourist information, you can read our Kissimmee visit planner . In November, daytime highs in Kissimmee are 78°F, while nighttime lows are 62°F. Wrap up your sightseeing on the 7th (Fri) to allow time to travel back home.